Move shoppers down the decision funnel. 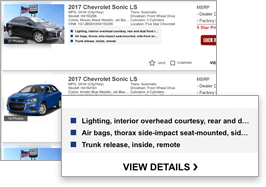 Use digestible, easy-to-read bullet points to highlight the most unique features and equipment of every VIN in your inventory. 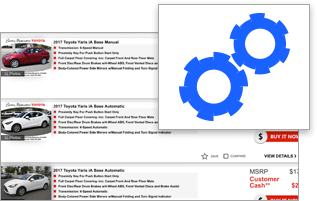 Automatically merchandise your vehicles with a powerful algorithm that performs over a billion computations per day – no human intervention required. 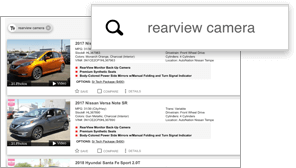 Show shoppers the features they care about by automatically adapting vehicle highlights to shopper search behavior. 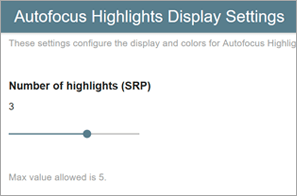 Customize your merchandising by controlling how many highlights are displayed, as well as which features or equipment you’d like to prioritize.